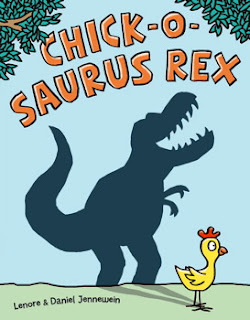 Publisher's Blurb: "A bullied little chicken discovers his inner strength along with some surprising dinosaur ancestry in this farmyard tale with huge heart. Little Chick just wants to belong, but the bullies of the barnyard—Little Donkey, Little Pig, and Little Sheep—won’t let him play in their tree house because he is a chicken, and chickens are not strong and brave. Little Chick sees their point: What have chickens done besides invent the chicken dance and cross the road? But when his father shows Little Chick the family photo album, he learns something HUGE: He is related to the gigantic and ferocious Tyrannosaurus rex! Armed with this new knowledge, Little Chick returns to the tree house just in time to rescue the bullies from a scary wolf—and prove that strength and bravery have nothing to do with size." Character Development: Little Chick is strong and determined. He has good self worth, a role model. Plot Engagement: While the story unfolds quickly, there is some vocabulary that will need a bit of explaining depending on the age of the student. Originality: Bullying is a 'hot' topic, but this story has a unique twist. Be sure to check out the author's note. It adds some depth to the telling that will give older readers something to investigate further! Thank You: TLC Book Tours & the publisher for my copy, it was donated to a beginning teacher's primary classroom. She, and her students, thank you also. My thoughts: This is a fun and humor-filled tale that many young students will love! Author Lenore Appelhans has traveled to 60 different countries, every continent excepting Antarctica. Find out more about the author HERE. Find out more about the illustrator (and her husband) HERE. 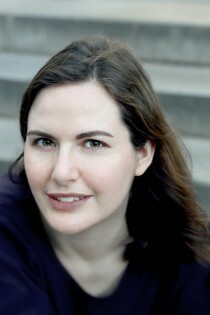 There is also an interview with the author at Storytime Books: HERE.